Electric vehicle sales are on the rise, but can the UK's charging stations keep up? The UK's electric charging infrastructure is ill-equipped to deal with the growing number of electric cars on Britain’s roads, according to a new report. There's one electric vehicle charging point every 53 miles in the UK, with the majority of these chargers taking up to four hours - according to research from vehicle finance provider, Moneybarn. Most pure-electric vehicles need to be charged every 100 miles, which means the current number of UK charging stations could leave motorists dangerously low on charge during long journeys and non-motorway travel. Only 2500 of the 14,000 electric chargers fall into the ‘rapid’ category which can charge a car in around 30 minutes. The majority are chargers in the UK are 'fast' units, which usually take up to four hours to fully replenish a battery pack. The Government has introduced the Automated and Electric Vehicles Bill in Parliament and aims to invest more than £1.2 billion in the industry, to try and combat some of these issues. However, it’s uncertain whether these changes will happen in time to significantly help motorists, who already own an electric vehicle. 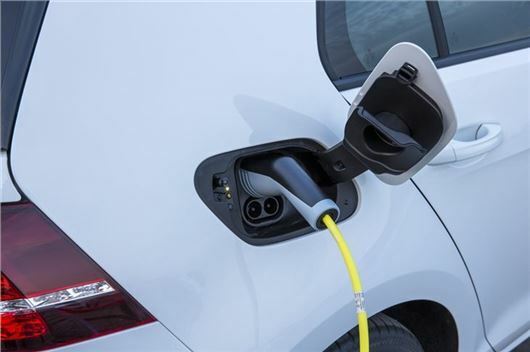 A further £100 million has been guaranteed to extend the Plug-In Car Grant scheme to 2020. Under the deal, car dealerships can get grants to reduce the price for new electric and hybrid vehicles. The grant allows buyers to claim up to £4500 off the price of a new electric car, while van buyers can get as much as £8000. As a hybrid driver I believe this issue does not matter that much now. Paying for the power on public chargers is almost the same price as putting petrol in. I only charge at work or home and no longer use the likes of Ecotricity or CYC. The reduction in government subsidies to buy the vehicles, increased costs to run due to charging for electricity in public areas and diminishing BIK charges for company car users indicates the government feel they have achieved their objectives in this area & are no longer pushing hard to attract new users. If they genuinely want to encourage people to invest in this technology - which is higher priced that ICE cars they need continue to offer financial incentive to buy and use these vehicles. Its like claiming to have climbed a mountain whilst jogging up the foothills. There is a long way yet to go. I live in a village with no mains gas, so my electricity supply is on the Economy 7 tariff. I could charge an electric car overnight at the cheap rate, but the high initial cost of these cars is a disincentive and will only fall with mass production. I am old enough to remember when the first colour televisions cost as much as a new Mini, but high demand soon brought their prices down.